The question now arises whether, in view of the position of the Church on this matter, and in view of the direct prohibition of the Third Council of Baltimore, it is ever licit for a Catholic to approach the civil courts seeking the dissolution of his marriage. It is certain that a Catholic is never permitted to approach the civil courts seeking the dissolution of his marriage without the permission of the Holy See or of the local Ordinary. But when may the local Ordinary grant this permission [220 . 220] to a Catholic? It is also certain that a local Ordinary may permit a Catholic to seek a civil divorce, after his marriage has been declared null by canonical process, or after the bond has been dissolved by the Holy See, or after the Ordinary has declared that the requirements of the Sacred Canons are present for the use of the Pauline Privilege, provided that the Ordinary in these cases makes it clear that he is permitting this merely to protect the property rights of the Catholic against a consort who is not really his spouse, (or who is no longer his spouse), or to assure civil recognition of any future marriage he may enter, or to avoid the danger of the Catholic being charged with bigamy under the civil law, if and when he enters another marriage which he now has the right to do.7 ” If it is possible to obtain a civil annulment in such cases, this, it would seem, is to be preferred, for, although the State is also incompetent to annul the marriage of baptized persons, the granting of an annulment does not have the stigma of an attempted violation of the Divine Law on the part of the State which the granting of a civil divorce entails. This would seem therefore to be the lesser of the two evils, and to be preferred when it can be obtained. According to Gasparri, the Sacred Penitentiary has accepted this norm and has followed it since 1906.3 1 have been unable to find any more recent pronouncement of the Holy See on this matter, although I know of one particular case in 1945 in which the Holy Office replied in the selfsame words as quoted above in the response of August 6th, 1906. 3) That we must not be too much swayed by the fact that the Catholic may suffer material loss if denied this permission, for the denial by the Holy See in the cases mentioned above undoubtedly worked great hardship on the Catholics involved, and it must be remembered that it is sometimes necessary for a Catholic to suffer material loss in his private affairs in order to avoid doing greater harm to the public good. 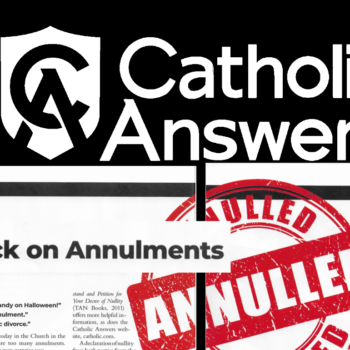 These general conclusions being posited, let us now examine, in more detail, the question whether, and under what conditions, an Ordinary may permit a Catholic to seek a civil divorce while the bond of a valid marriage remains. Many argue that since, in most countries, no other way can be found under the civil law to protect the property rights, and other civil effects flowing from the marriage bond, a Catholic must not be deprived of this protection and therefore should be given the permission to obtain a civil divorce .even while the ‘bond of a valid marriage remains. 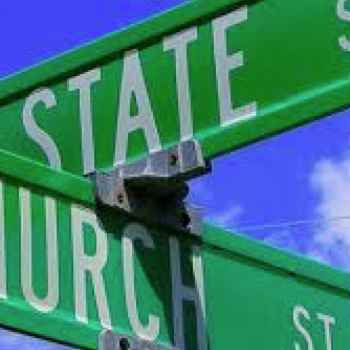 This argument in various forms is the principal reason offered by those who advocate granting permission to Catholics to seek a civil divorce.8 In reply to this argument we must state, in the first place, that in this country it is not always true that the sole means of [ 224 . 224 ] protecting the civil rights of a Catholic is by obtaining a civil divorce, for sometimes the property rights of a Catholic can be safeguarded equally well by permitting him to obtain a separation a mensa et toro manente vinculo from the civil courts, after he has been granted an ecclesiastical decree of permanent separation.8 7 At other times a private agreement or property settlement can be arranged between estranged spouses which, I am informed, is enforceable in civil law in every state. At other times the Catholic may so dispose of his property while still living that it will not fall into the hands of an unworthy consort at his death. Therefore it is not always true that the sole means of protecting the property rights of a Catholic is by permitting him to obtain a civil divorce. In the second place, not every separated spouse has a strict right in justice to the protection of the civil law for his property, but only he who is the innocent spouse of an adulterous consort, for only he has the right to break permanently “the communion of conjugal life” which is a mutual sharing in each other’s possessions.88 Thirdly, even when a Catholic has the right to the protection of the civil law over his property, [ 225 . 225 ] and even when this protection can be obtained only by permitting him to seek a civil divorce, this reason is a good of its nature private, so that his private good must be weighed against the public good and the harm done to the public order by civil divorce. Viewed in this light, it would seem that this reason in itself cannot be considered as proportionate to the public evil of divorce, and therefore this reason alone would appear to be theologically insufficient to permit a Catholic to seek a civil divorce.89 The argument, therefore, that a Catholic must not be deprived of the protection of the civil law over his property, is not as decisive and as compelling as many would have us believe, but it is rather only one aspect of a complex problem and to my mind not the most important aspect. Others argue that every Catholic knows that the civil court cannot dissolve the bond of marriage, and that when a Catholic obtains a civil divorce, solely to protect the mere civil effects of the bond, he is doing nothing contrary to the law of the Church, since Canons 1016 and 1961 acknowledge the competence of the civil law over the mere civil effects of the bond. The granting and obtaining of a civil divorce, therefore, is an indifferent act. 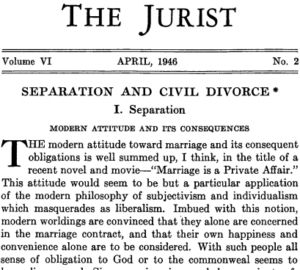 This argument, I think, is unrealistic and does not take into account the secularist mentality which is so general today, and the effect that the widespread granting of civil divorce is having on Catholics. 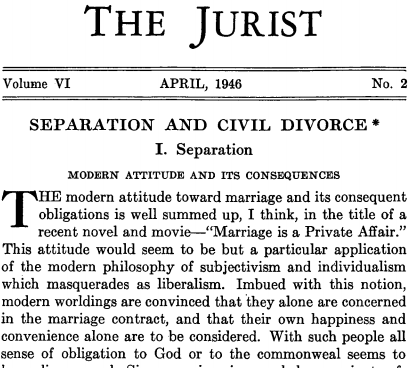 I think that a consideration of the subsequent actions of many Catholics who have obtained a civil divorce, which we have described above, is the best answer to this argument, for, as we have noted above, very many, if not most of them, eventually enter an adulterous union. Furthermore, it can hardly be denied that the impression is growing stronger each day, even among Catholics, that the State has the right to dissolve the marriage bond, and the action of a Catholic in obtaining a civil divorce, even if only for its civil effects, fosters and strengthens this false impression. Moreover, this action fosters and strengthens the perverted notion that the State has sole and exclusive [ 226 . 226 ] jurisdiction over the marriages of all of its citizens, and that the Church has authority merely to “bless” a marriage. The prevalence of this perverted idea, I think, can be judged by the number of Catholics who go through only a civil ceremony of marriage, and by the number of single Catholics who become involved with divorced non-Catholics 9 0 and eventually live with them in adulterous unions after only a civil ceremony. Such people insist that they are married, although their marriage is not “blessed.” This secularist mentality with regard to marriage seems to be growing quite rapidly among American Catholics and the obtaining of a civil divorce by a Catholic, even if it is done only to safeguard his civil rights, confirms and corroborates this false and perverted concept. For these reasons I do not believe that the argument to the effect that Catholics know that the civil courts cannot dissolve the bond of marriage is realistic or valid, for it fails to take into account the evil effect the granting of a civil divorce has on the individual Catholic (who is then gravely tempted to commit public adultery) and it ignores the harmful effect the granting of a civil divorce has on other Catholics as noted above. [ 227 . 227 ] Other more pragmatic arguments are offered by those who advocate freely allowing Catholics to seek a civil divorce. One is that the Holy See knows that many Catholics are obtaining civil divorces and has made no direct prohibition and has issued no general decree on the matter, thereby tolerating the situation. 3 By such reasoning, I think, almost any abuse, and practically every crime, could be justified. Another pragmatic argument for this position is that the Church in this country places itself in danger of being sued in the civil courts for alienation of affection, or for interference in the business of the State, if it insists upon passing judgment on the validity of a marriage, or dissolving the natural or unconsummated bond, before the State has issued a civil divorce. I do not think it is necessary to answer this cowardly plea to abandon the juridical position of the Church merely because there is danger of conflict with a civil law. However, I might state that I think the danger of such a contest, in a practical case, is extremely remote. Finally, most practical canonists in this country seem to take the position, that the matter is doubtful, and, inasmuch as there is no definite prohibition by the Holy See, a Bishop in this country may dispense from the law of the Third Plenary Council of Baltimore and permit a Catholic to seek a civil divorce to protect his property rights, even while the bond of a valid marriage still exists. 1) The Catholic can obtain the protection of the civil law for his property in no other way. 2) The Catholic has an indubitable right in justice to the protection of the civil law for his property. This right to the protection of the civil law can only be considered indubitable after he has obtained an ecclesiastical decree of permanent separation from his adulterous spouse, for only then can he be considered to have a “just cause” for permanently severing the “communion of conjugal life” which is the mutual sharing in each other’s possessions. If only a temporary ecclesiastical separation, even for an indefinite period, has been decreed, the obligation remains to resume cohabitation and common life as soon as the cause ceases because of which a temporary separation was granted. To permit a Catholic to seek a civil divorce in these circumstances would be unjust to the other consort for this would be denying permanently to the other spouse his right to share in their community of goods, whereas the reason present justifies only a temporary denial. Moreover, as practical experience proves, a civil divorce would create a serious obstacle to the resumption of common life after the cause had ceased for which the temporary separation was granted. The granting of a permanent ecclesiastical separation would seem to be a conditio sine qua non to the granting of permission to seek a civil divorce for another reason also, for only [ 229 . 229 ] by doing so can we maintain, in a practical case, the right of the Church to sole and exclusive jurisdiction over the marriage bond of baptized persons, and bring out the reality of the assertion that the civil divorce is sought only to protect the merely civil effects of the contract. Therefore, it seems clear that a Catholic has not the right to the protection of the civil law for his property and may not seek a civil divorce unless he has received an ecclesiastical decree of permanent separation. 3) There must be present a cause which is proportionate to the evil before a Catholic may be permitted to obtain a civil divorce, even if only to protect his civil rights. Since the evil of civil divorce is an evil of the public order, as well as private, the cause must be one of the public or supernatural order, if it is to be considered as proportionate to the evil. Therefore, it would seem that the protection of the property rights of a Catholic, in itself, is not sufficient cause to permit him to seek a civil divorce. 4) The Catholic must declare, under oath and before the Ordinary or his delegate and two witnesses, that he does not recognize the authority of the State to dissolve the bond of marriage, and that he is seeking this civil divorce merely for the civil effects which will follow and to which he has a right. Only thus can the sole and exclusive competence of the Church over the bond of marriage of baptized persons be upheld before this Catholic, and before Catholics in general. 5) The Catholic must solemnly promise that he will not attempt another union during the lifetime of his true spouse, and that he will do his utmost to preserve perfect chastity. Only thus can the serious character of this obligation be impressed upon him, and only thus, it would seem, can he be made aware of the proximate danger of incontinence which the obtaining of a civil divorce brings upon him. If these conclusions appear to be too severe, at least it must be admitted that they seem to be demanded by the laws of logic as well as the rules of moral theology and canonical jurisprudence. If they will work a hardship in the case of many Catholics who have unworthy consorts, perhaps that is the price which must be paid to protect the divinely decreed indissolubility of Christian Marriage. If this appears to be a “hard saying,” it must be remembered that the reward [ 231 . 231 ] promised to those willing to pay the price, is an eternity of happiness. The key to the control of the divorce evil among Catholics, therefore would seem to be the enforcement of the strict discipline of the Holy See with regard to the separation of consorts. If Catholics were made to realize that they were not permitted even to separate on their own authority (except in the rare cases mentioned in the law), and if Catholics were made to realize that they could not approach the civil courts even to seek a decree of separation until after the Church had granted a decree of separation for a just cause, the number of Catholics seeking a civil divorce would be greatly reduced. Of course this presupposes that the necessary canonical machinery in the Episcopal Curia has been set up for the handling of separation problems. Catholics to State: "Hands Off Our Marriages"